Tired of Spending Tons of $$$ on Your Beautyblender Sponge? This specially-designed sponge has a larger wide base to cover larger skin surfaces and a pointed tip for contouring for areas like the nose, chin, and underneath the eyes! The shape also makes it super easy to hold during application and it's great for all types of makeup: cream, liquid, or powder! Formulated with natural latex, this fab sponge meets all of the beautyblender benefits- without the higher price :) Want to go for sheer coverage? Simply add more water to the sponge/get it wetter! Get the easy application and expert blending with this inexpensive sponge from Sephora! 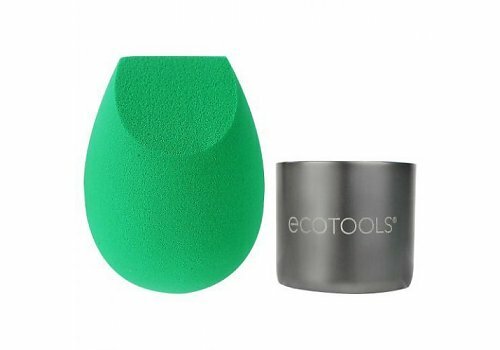 Created with EcoTools EcoFoam technology, this super affordable sponge doesn't skimp out on quality and comes with a bonus stand that's perfect for drying and storage :) 100% cruelty-free and vegan, this awesome sponge is also latex free & dermatologist tested as well. If you have super sensitive skin or latex allergies, this is the blender sponge for you! This one can be used wet or dry, making it versatile, inexpensive, and great for all skin types. Snag an ultra-affordable 3-in-1 sponge that comes with its own travel case, making it great for those on-the-go and travelling! Latex-free and ideal for powders, creams, and liquids too! Get a natural-looking finish in a snap with this portable, inexpensive option :) Has a flat edge for contouring in areas like around the eyes and the nose and rounded sides for blending larger areas of the face; there's even a precision tip for covering blemishes!